In this context, "balen" is often used in conjuction with the preposition "van". – "Frank baalt al heel lang van zijn werk." – "Marc baalde als een stekker omdat de file 16 kilometer lang was." – "In juli liggen er altijd veel hooibalen in het veld." 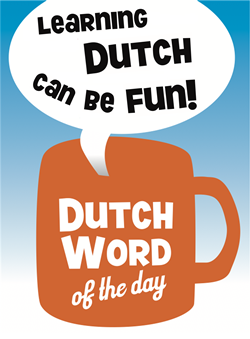 This entry was posted in Dutch word of the day, DWOTD 1.0, Vocabulary Intermediate and tagged balen, balen als een stekker, stekker by Dutch Gurus. Bookmark the permalink. “Balen is often used in conjunction with the preposition ‘with'”… shouldn’t it be “with the preposition ‘van'”? you’re absolutely right. I’ve updated the post. You do not hear the expression very often nowadays but I think the original source is “ergens balen tabak van hebben”. Onze Taal confirms: http://www.onzetaal.nl/advies/stekker.php Beautiful website by the way!